Business loans that support your business. From a reception desk to furnishing an entire office, a Fidelity Finance Group business loan can furnish you with the finance you need. It all begins with one of our business finance specialists getting to know your organisation. As specialists in the needs of small to medium business, Fidelity Finance Group can source a business finance solution for office furniture you’ll be comfortable with. Before you start looking for a furniture package, it could pay to get a business finance approval in place. Talk to Fidelity Finance Group first and get a business loan application underway. Then, once you have the approval through, you’ll have the bargaining power to negotiate a better deal with the furniture supplier. We’ve got more bargaining power too. With over $350 million in loans written annually, we have the leverage to offer competitive conditions, terms and rates. Fidelity Finance Group can source finance from over 20 lenders to secure business finance at preferential rates and terms. That also means we can spread your business loans across a range of lenders, opening up your options in the future. Let us table an optimum solution. We pay the supplier, you take delivery of the furniture, it can be as easy as that. 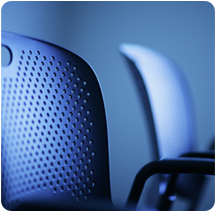 Complete an office furniture finance application now, without obligation, click here. Or phone +61 (2) 9212 0799 to talk with one of our business loans experts.